Wow, week seven already! Despite appearances I haven't completely dropped the ball on this plan, I just haven't been blogging about it - mostly because little things like work and life got in the way a bit. Health and Wellbeing - get off the train one station early in the morning, walk up the stairs at said station even when legs are killing from squats and lunges, keep going up and up until arrival at new found coffee spot (thanks Ms I-Hua! 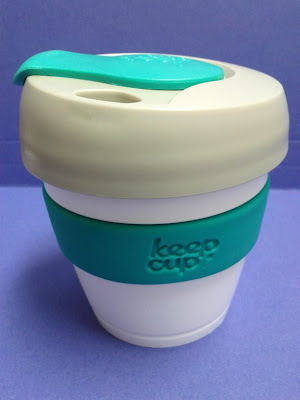 ), drink fabulous new coffee in fabulous new mini Keep Cup (thanks Little Bro) while walking uphill to work. Specific much? Yes, however the extra walk part is good for my health and the coffee is good for my wellbeing (no, you won't change my mind on that no matter what arguments you throw at me!) so I think specificity is good. Organisation - this is one that I actually hope to carry through for forever. 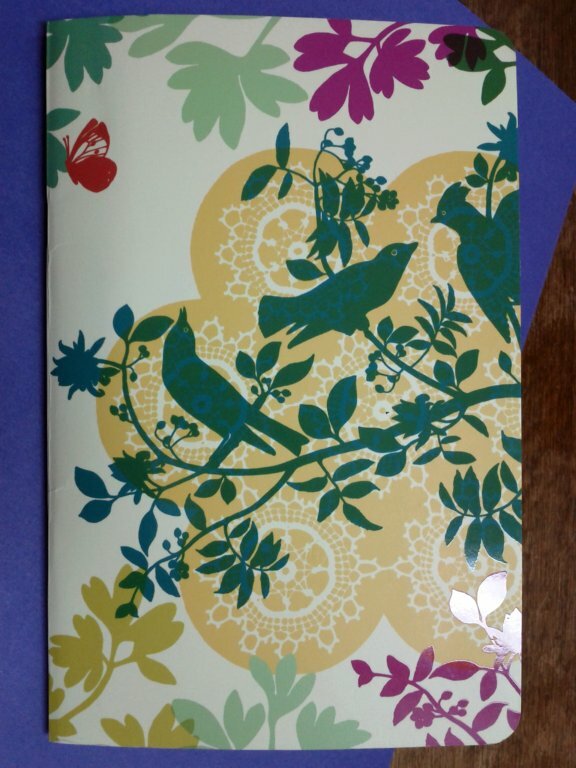 I've grabbed one of the many unused pretty notebooks that I have at home and put it in my new work bag for two purposes. The first being that I intend to spend the first few minutes of my train ride each morning writing a list of things that I want/need to do that day (non-work related, I have a separate list at work for those). These get divided into Before Work, Lunch Time and At Home and don't get crossed off until they're done. The second is so that I have a place to write down the random thoughts and ideas that come to me during the day (for example the other day while trawling through some new-found Melbourne food blogs I came across a number of places that I actually want to visit and instead of tucking them away in my head where they're likely to get lost I wrote a list of them in my notebook). To Do - wardrobe clean out! This is one of those things that I would normally do over the Christmas holidays but decided not to attack while we have house guests. This Saturday however The Sparky will be bonding with his father over their new, yet-to-be-put-together, remote control helicopters so I will have the house to myself for a few hours which is the perfect setting for some wardrobe tlc. Just for Fun - wear a little makeup (and by a little I mean at least mascara every single day). This may not sound like much to most (low) 30-somethings out there but I'm not a makeup person - as in I could list for you the number of times I've worn a full face of the stuff and I probably wouldn't run out of fingers - so for me to even wear mascara, let alone for two or more days in a row, well that is a big thing. I've never been much of a list person myself and it's taken me years to get into it properly at work, where it really is necessary. I found it so helpful for work last year though that I've decided to give it a go for my personal life as well - we'll see what happens.